In the building industry, forklift trucks are often operating in demanding environments. 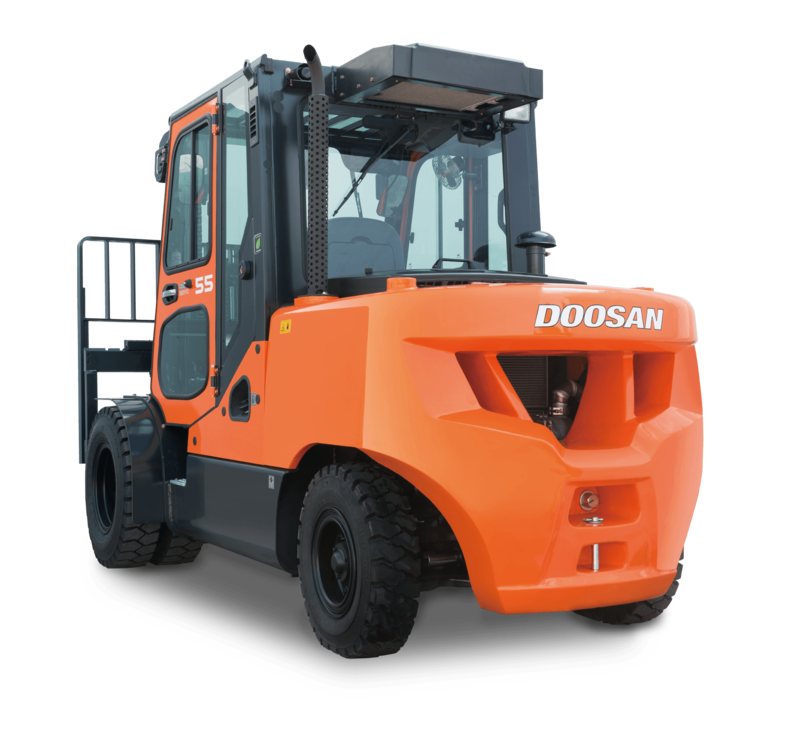 Doosan’s range of engine-powered counterbalance forklift trucks provide durable, powerful performance; making them ideal for this industry. 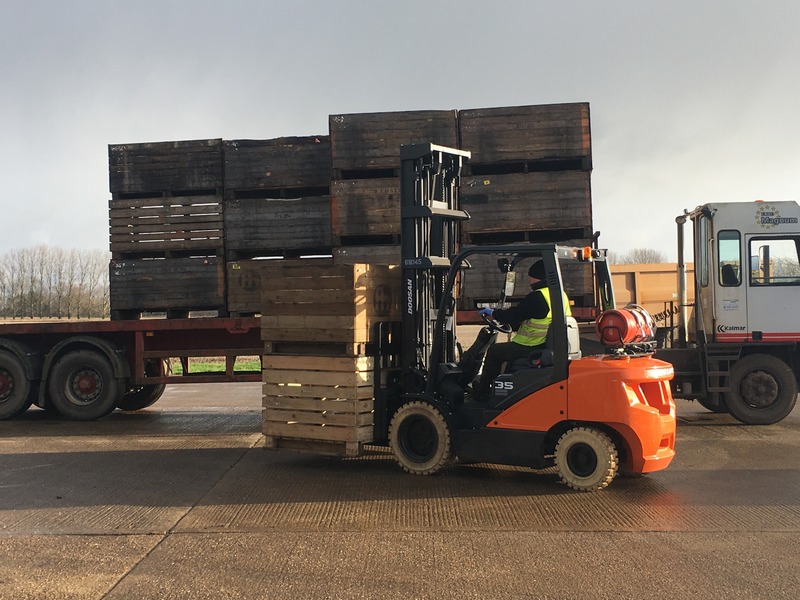 Building rugged, reliable, yet simple trucks, has allowed us to become a leading provider of forklift trucks in the UK. By adding high specification features, and proven technology, our aim is to increase productivity whilst lowering equipment lifetime costs. This range of engine powered counterbalance forklifts are available in Diesel and LPG variations; with Diesel trucks ranging in capacities from 1.5 – 25.0 tonnes and LPG trucks available in 1.5 – 7.0 tonne capacities. You can find out more about these trucks here. 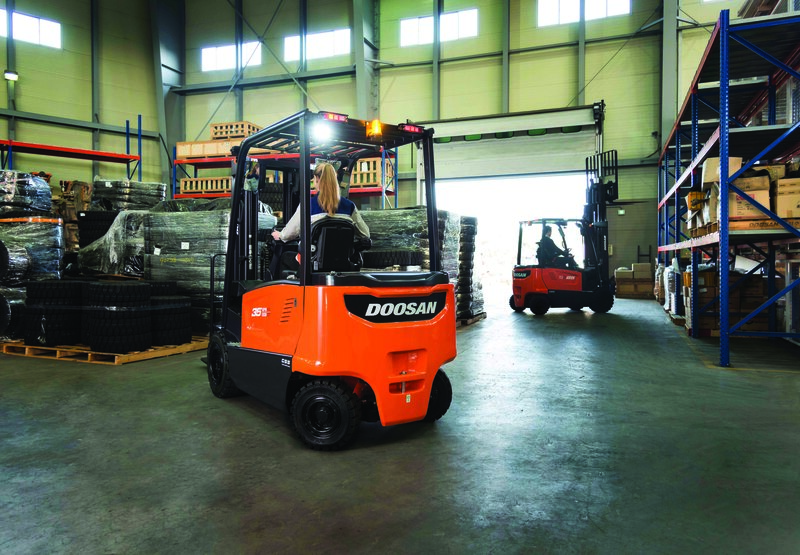 Our new Doosan 7 Series range of electric powered forklifts have been designed to offer powerful, efficient performance across all applications. These new models offer improved visibility and the latest design in ergonomic hydraulic controls. Thanks to an improved durable design and an additional stability system, Doosan’s new 7 Series electric trucks exceed the highest demands for safe operation. 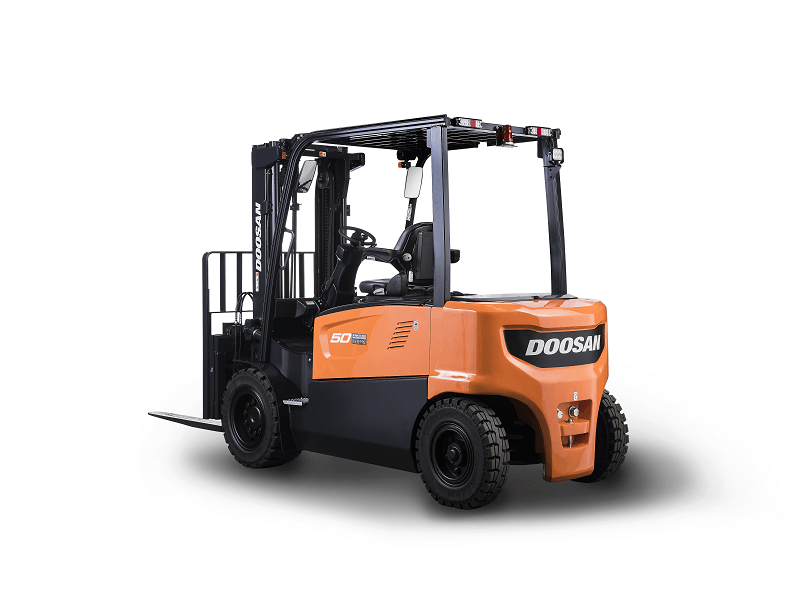 The new Doosan B45X-7 electric forklift trucks are available in capacities from 4.0 to 5.0 tonnes and thanks to their 80 Volt AC power system, they deliver the high levels of power required to deliver high performance in this industry. 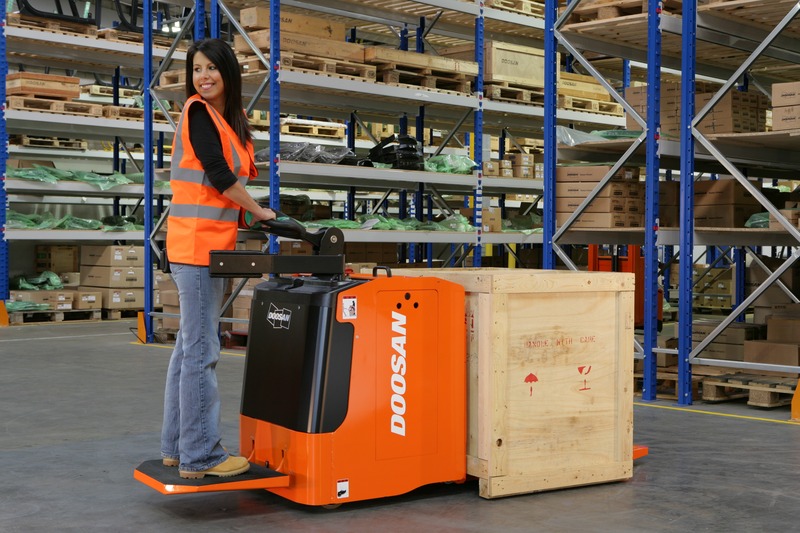 We have an extensive range of Warehouse equipment built with German precision engineering, the Doosan Warehouse Range can assist any lifting needs.